Pakistan election results 2018: The Punjab Provincial Assembly has 371 total seats and counting of votes for the Pakistan elections 2018 are underway. In 2013, Pakistan Muslim League-Nawaz won the election obtaining 313 out of 371 seats. Shahbaz Sharif became the Chief Minister of Punjab. Read the full list of Punjab Assembly winner here. Pakistan is set to witness only the 2nd democratic transfer of power in its 71-year of existence after it went to polls on Wednesday. The voting took place after the high-voltage campaign that was marred by violence and accusation of meddling by the Army. The run-up to the elections for the 272 general seats of the National Assembly and 577 general seats of the provincial assemblies, Punjab, Sindh, Khyber Pakhtunkhwa and Balochistan. Political analysts have predicted a close contest between PMLN and PTI. The Punjab Provincial Assembly has 371 total seats. In 2013, Pakistan Muslim League-Nawaz won the election obtaining 313 out of 371 seats. Shahbaz Sharif became the Chief Minister of Punjab. Punjab Province, considered as the largest province of the country has 141 seats out of the total 272 seats in the National Assembly. According to media reports, there seems a tough showdown between PTI and PMLN in the province. 4:54 pm Riaz Ahmed from PMLN bags PP-200 Multan seat, while Murtaza Iqbal from PTI has won the PP-201 seat of Sahiwal. 4:40 pm Chaudhry Adnan retains the seat for PTI in PP11 Rawalpindi, in 2013, Ijaz Khan, had won the election. 1:00 pm PTI president Imran Khan wins the national assembly seat 53 from his Islamabad constituency, 2 with 92,891 votes. 12:00 pm Unofficial reports say, PTI was leading with 77 seats while Nawaz’s PMLN’s stood is 2nd in the fray with 66 seats. The independents managed to garner 14 seats in the province. 10:30 am: According to a report published by the .timesnownews.com, Imran Khan’s PTI won the national assembly seat 118 in Nankana Sahib – 2 constituencies in Punjab. 09:30 am: As results are around the corner, latest updates say that seat 123 was bagged by Muhammad Riaz of Shehbaz Sharif’s PML-N with 97, 193 votes while PTI remains second with 72,535 votes. 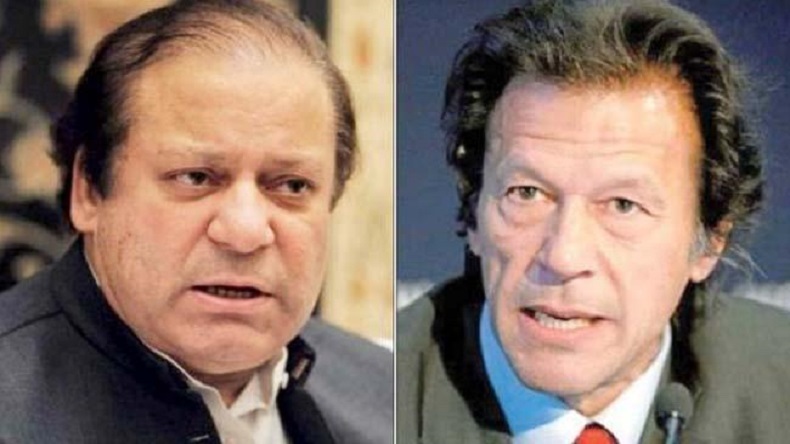 07:15 am: As per official reports, Imran Khan’s PTI seems to have a close competition with Nawaz Sharif-led PML-N as both the parties have bagged an almost similar number of votes. 07:00 am: Malik Nadeem Abbad of the PTI has bagged 34,934 votes to win in Lahore (PP-161). ALSO READ: Wanna play a round of tennis with Mia Khalifa? ALSO READ: Sunny Leone and sunflowers! What else do you want?